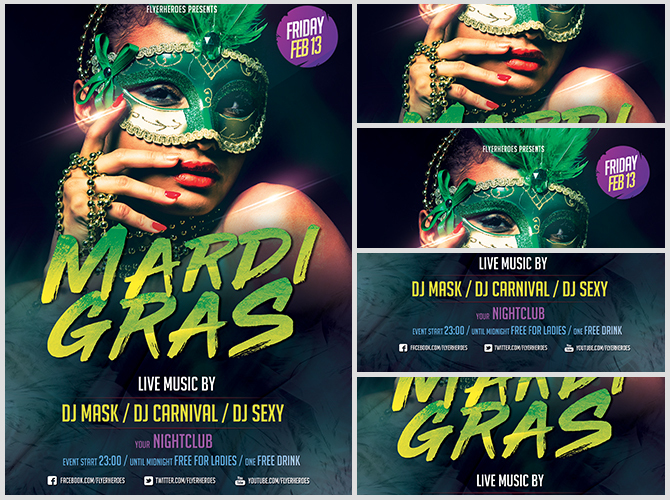 Advertise your Mardi Gras event with our Mardi Gras flyer! 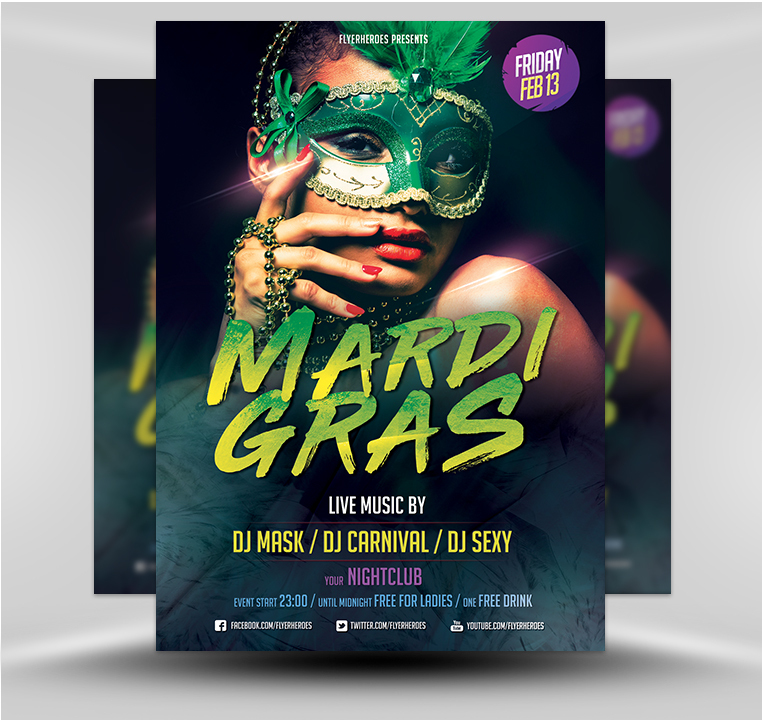 This flyer uses a dramatic green, black, and gold color scheme, with purple accents for contrast. 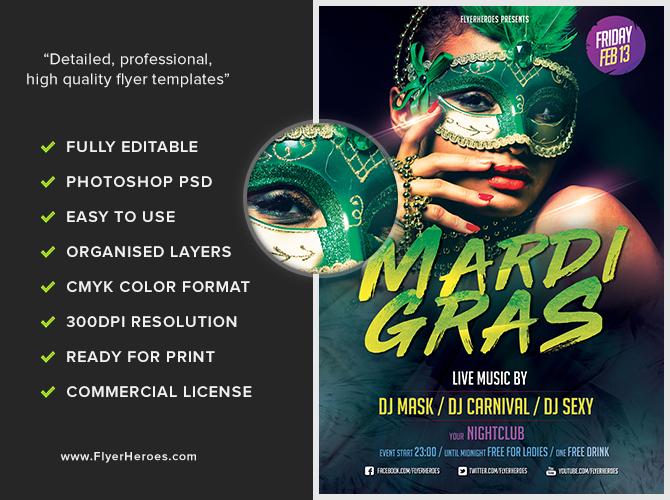 The center figure is a woman wearing an ornate green and gold mask, overlaying a gradient background that shifts from black to a deep navy blue. The event title fonts resemble hand-painted characters, and they shift from a green to gold. Additional details appear below the title, in purple, blue, and white. 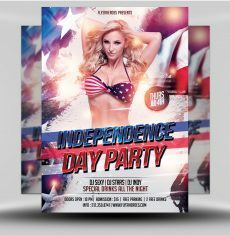 The overall feel of this flyer is rich and luxurious, lending itself to high-end events. 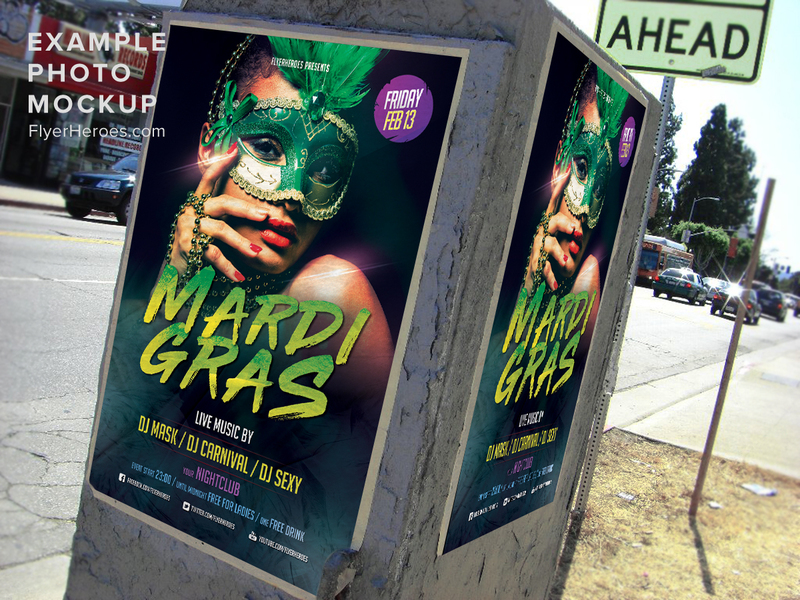 This gorgeous Mardi Gras flyer would be ideal to advertise how you’ll celebrate Mardi Gras at your venue!